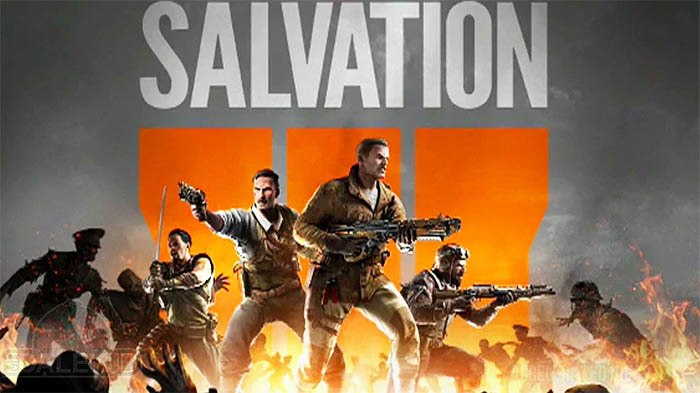 Treyarch have confirmed that the final DLC pack for Black Ops 3 will be called "Salvation" and by the look of it the pack may contain Revelations, the new zombies map that concludes the long standing storyline involving Richtofen, Dempsey, Nikolai and Takeo, BUT also a set of remastered zombies maps. Note: The PS Store page has since been taken down but I will post updates below with more information. Update 3: New teaser video, Monty: "You should know who I am by now"
Update 4: New teaser video, Monty: "It's alot to juggle..."
Update 5: Official trailer has been published. Read the breakdown here. Up until now, each of the original characters has been killed and their souls collected in the Summoning Key. 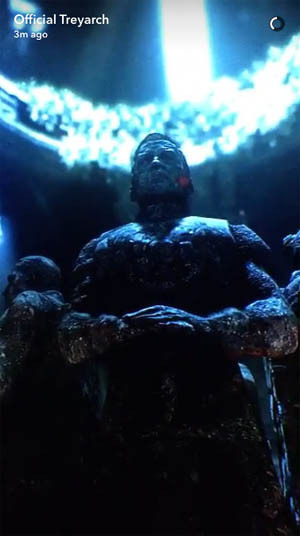 During the final cutscene for Gorod Krovi, we know that the souls of the original four (albeit Richtofen's) have descended back to the house for the final confrontation with Monty and the mysteries surrounding the blood vials. Everyone expects an epic conclusion in DLC 4, on par or above that of Origin's from Black Ops 2. Samantha is bound to make her long awaited appearance along with the possibility of Maxis playing a major role in the Easter Egg alongside Richtofen. With the final chapter of the zombies story upon us, there's speculation that a cross-map Super Easter Egg may still determine the "good" ending vs the bad. Time will tell but this is going to be one hell of a conclusion! The Salvation DLC pack will be available in September (exact date still to come) for PS4, then a month later for Xbox One and PC players. The usual pre-load option applies but the final download to unlock the map will occur at roughly 2am PT, or 10am UK. Although a fantastic map to look forward to, it's also a sad day for any COD zombies fan. This final DLC 4 marks the end of what's been a fantastic journey for the zombies mode in Black Ops 3, concluding a decade long achievement for Treyarch and the team. Over the years, we've seen an explosion in the number of people covering the game. Some long timers such as SpiderBite are still with us (just!) whilst others such as Yoteslaya sadly passed away. A new generation of creators including GlitchingQueen and NoahJ have taken the helm for this final showpiece. It'll be another three (long) years before we get to experience another Treyarch zombies game, and I expect a new breed of fans will take the genre forward then. So let's enjoy this final DLC map and fingers crossed the ending is a good one this time! !